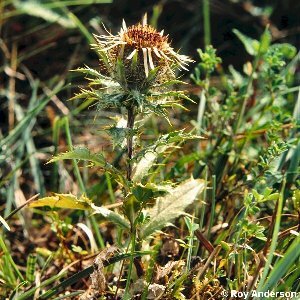 A thistle with a short stem and a single flower-head. The dead stems and flower-heads persist from one summer to the following year. Formerly common on sand dunes, but now rare, perhaps because of acidification of the dune systems. 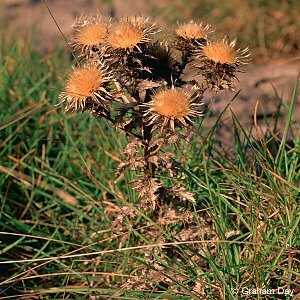 All names: Carlina vulgaris L.